What Can I Expect in a Sekas Townhome? When you rely on a custom home builder, you want the highest quality of service, backed by years of experience in the field. At Sekas Homes, we have been recognized as an award-winning builder in the area and have been building custom townhomes in Northern Virginia since 1987. Are you looking to hire a custom home builder in Northern Virginia? Sekas Homes offers professional services in building custom townhouses and homes. Call us today! Build on your own Lot – Lot selection is crucial before building your custom townhome. Our remodeling contractors at Sekas can help you to understand your local zoning and building regulations and provide dependable lot selection assistance. Upgrade to a Solar-Ready Home – Not only are we exceeding ENERGY STAR® standards for ourÂ green custom homes, but we have also partnered with EDGE Energy to provide renewable solar energy options designed for homeowners to save on energy. Discover Luxury Home Communities – If you are seeking a luxury townhome in Northern Virginia, you may want to consider our beautiful designed floorplans, which can also be customized to your liking. Design for Features YOU Want– Our standard features are difficult to beat. We offer a wide selection of options, from exterior stone brick to 9-foot ceilings on the second floor. When it comes to the design process, we help you choose the features you’ve always wanted. At Sekas, we have earned a reputation in Northern Virginia for our track record of success stories in custom home design. Read what past clients have had to say about us in our testimonials, or view our gallery of award-winning designs! 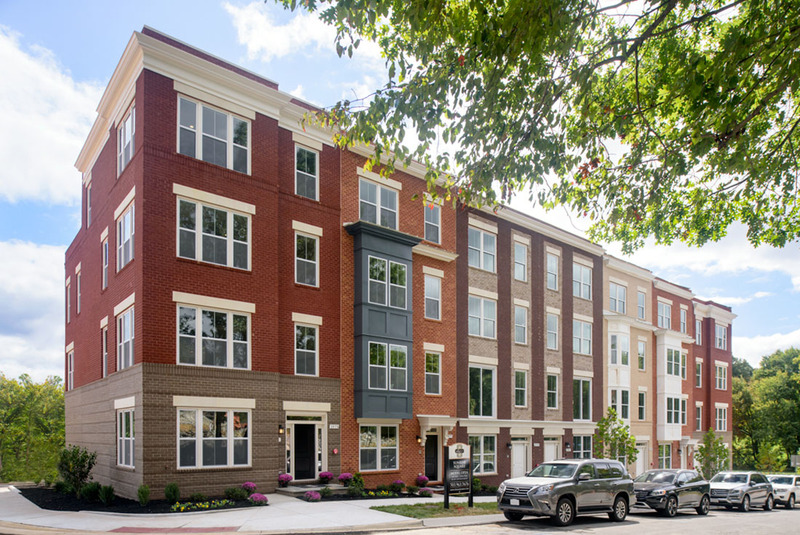 What Makes Sekas Townhomes Different Than Others in Northern Virginia? From the initial stages of land development to placing the finishing touches in your home, our remodeling contractors are with you throughout the entire design-to-build process. We understand how important it is to be highly communicative with our homeowners and subcontractors, so you are kept involved about your custom build project, every step of the way. To ensure that all of our jobs fulfill the highest client satisfaction, we hire only the brightest home remodeling contractors in Northern Virginia, who are personally responsible for providing you with the best experience possible. You may also learn more about our company values when you read more about our company history. At Sekas Homes, we only commit to building a certain number of homes each year. By limiting the number of projects we take on, we ensure that you always receive an exceptional level of attention, service, and craftsmanship for your home. No matter how many referrals we receive, or how the market changes, building your custom home and listening to your needs remains our priority. Give us a call today, or contact us to schedule a consultation online!